The Long-billed Corella is normally found only in the extreme south-east of Australia from south-eastern South Australia through western Victoria to southern New South Wales. However, it has established populations in other parts of eastern Australia (probably from escaped cage birds). 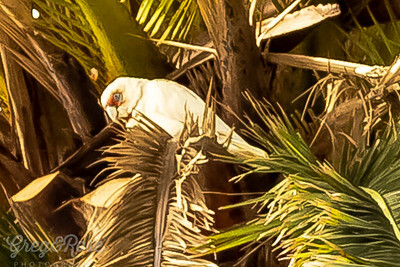 The Long-billed Corella prefers grassy woodlands and grasslands, including pasture and crops, as well as parks in urban areas. The rainbow lorikeet is a species of parrot found in Australia. It is common along the eastern seaboard, from northern Queensland to South Australia. Its habitat is rainforest, coastal bush and woodland areas. 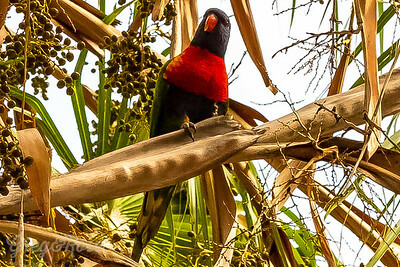 Several taxa traditionally listed as subspecies of the rainbow lorikeet are now treated as separate species. 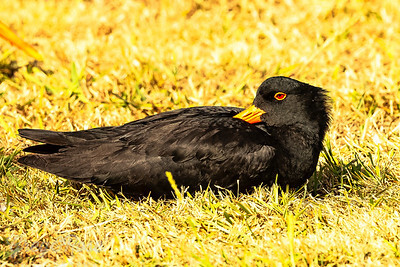 Species Information Breeding and ecology The variable oystercatcher is a familiar stocky coastal bird with a long, bright orange bill, found around much of New Zealand. 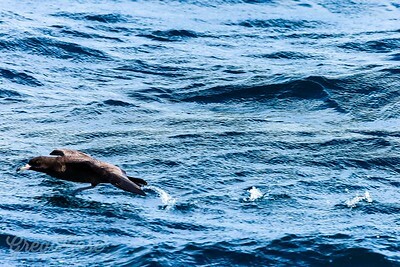 They are often seen in pairs probing busily for shellfish along beaches or in estuaries. Previously shot for food, variable oystercatchers probably reached low numbers before being protected in 1922, since when numbers have increased rapidly. 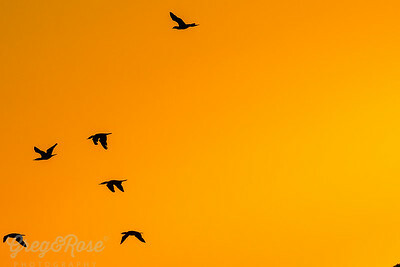 They are long-lived, with some birds reaching 30+ years of age. 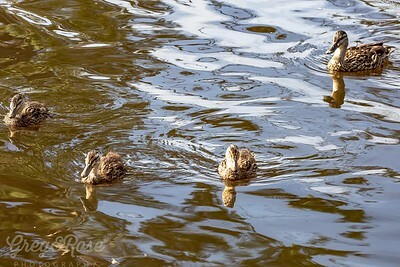 The existence of different colour morphs (black, intermediate or ‘smudgy’, and pied) caused early confusion, and they were variously thought to be different species, forms, or hybrids. This confusion was compounded by a cline in morphs, with the proportion of all-black birds increasing from north to south. The colour morphs inter-breed freely and are now all accepted as being a single species. 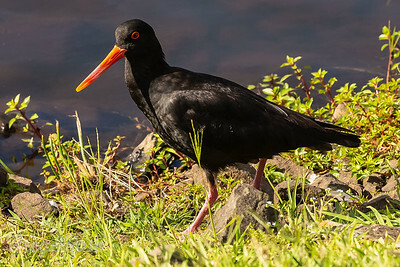 Variable oystercatchers occur around most of the coastline of North, South, and Stewart Islands and their offshore islands. Strongholds are in Northland, Auckland, Coromandel Peninsula, Bay of Plenty, Greater Wellington, Nelson/Marlborough, and Fiordland. They occur at lower average densities on west coasts of the two main Islands, and have not been recorded from any outlying island groups. There were about 2000 variable oystercatchers in the early 1970s, this had risen to about 4000 by the mid-1990s. There have been no nationwide surveys in recent years, but if the increase has continued at the same rate, the total population would now be 5000-6000. On the Northland east coast and on Coromandel Peninsula, the increase appears to be slowing, possibly as those areas approach carrying capacity. 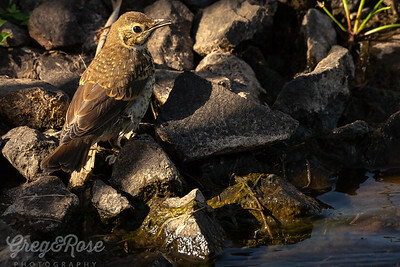 Population growth and delayed maturation mean there are many pre-breeders in the population, so the number of breeding birds is somewhat less than the total. Roughly two-thirds of the population is thought to be in the North Island. 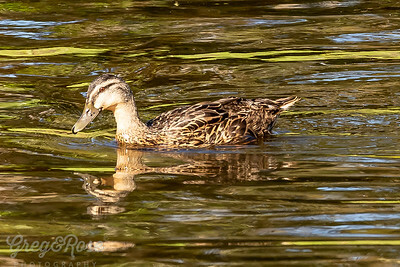 The New Zealand grey duck population is believed to be extensively hybridised with introduced mallards to such an extent that few pure grey ducks may now exist, hence its “critical” conservation status. 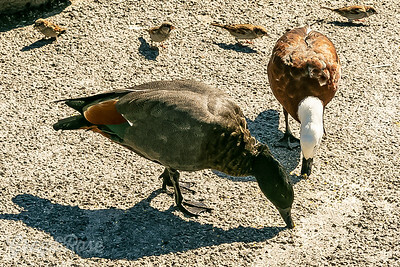 While this presumption is based entirely on phenotype, as definitive genetic studies have yet to be undertaken, the diversity of soft part and plumage characteristics of most grey duck-like New Zealand birds compared to those in Australia lends support to this belief. 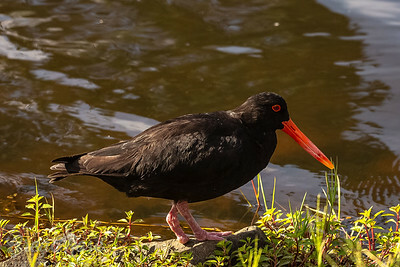 Variable oystercatchers eat a wide range of littoral invertebrates, including molluscs, crustaceans, and annelids. They favour bivalve molluscs (e.g. mussels, tuatua, cockles) when these are available; these are opened either by pushing the tip of the bill between shells and twisting, or by hammering. They occasionally take small fish. 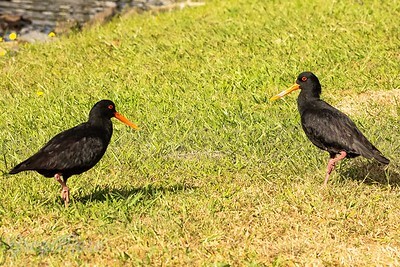 On grass, variable oystercatchers eat a range of terrestrial invertebrates, including earthworms. 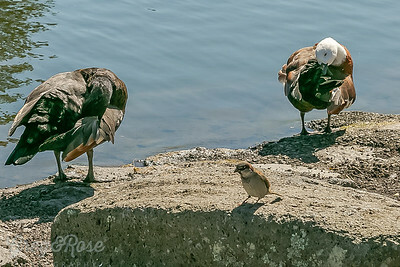 When foraging, they are sometimes accompanied by kleptoparasitic red-billed gulls. Similar species: the black and smudgy morphs are distinctive. 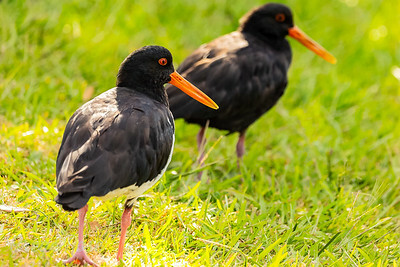 Pied morph birds can be confused with South Island pied oystercatcher. 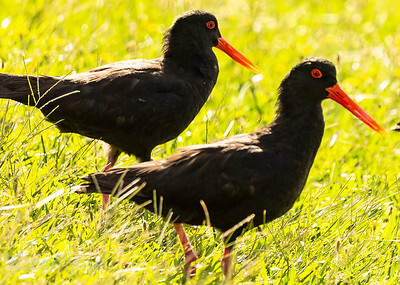 If seen together, adult variable oystercatchers are noticeably larger, but first-year birds may be confused. 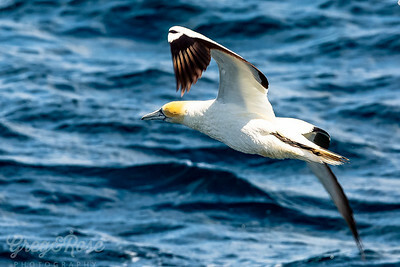 The demarcation between black and white on the breast is generally sharper on South Island pied, and they have more white showing forward of the wing when folded, and a broader white wingbar in flight. 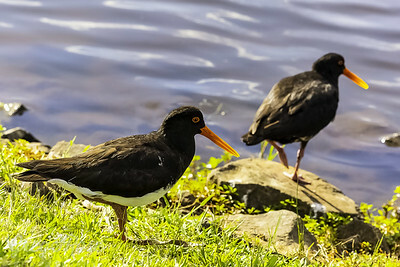 The pied morph is similar to Chatham Island oystercatcher, but their ranges are not thought to overlap. 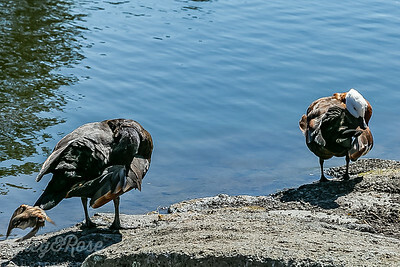 Grey ducks are uniformly darkish brown with most feathers edged with a paler buff. 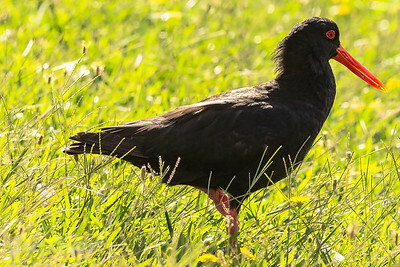 The crown is almost black, and the face a clean cream crossed with two sharply-defined black stripes, one extending from the bill through the eye to link to the dark crown, the other from the gape and extending across the lower face and beyond the eye. The bill is leaden grey with a black nail, legs khaki, and the eye dark brown. The upper wing is brown, with the speculum (on the trailing edge of the inner wing) an iridescent green with a trailing narrow white band (and no anterior band). The underwing is white. The sexes are alike, but males are 5-10% larger than females. 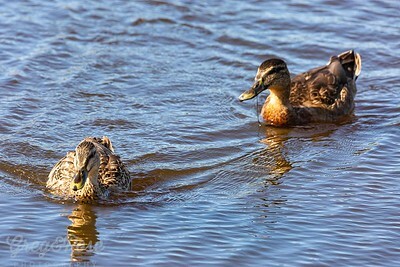 Similar species: grey ducks are easily confused with female mallard from which they can be distinguished by: mallards have bright orange legs and feet, orange-and-brown bills, more diffuse eye and bill stripes and mottled face, and a blue speculum edged with white both at front and back. 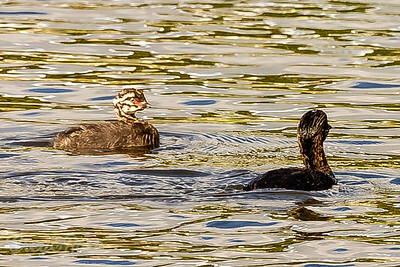 Hybrid grey x mallard ducks are confusingly variable in most characteristics and otherwise “good” grey ducks need to be examined closely for any indication of anterior speculum stripe (alar bar) on wing (white or fawn, narrow or wide…if it is visible it is probably of hybrid ancestry), hints of orange on legs, and “dirty” cream face with indistinct edges to the facial stripes. 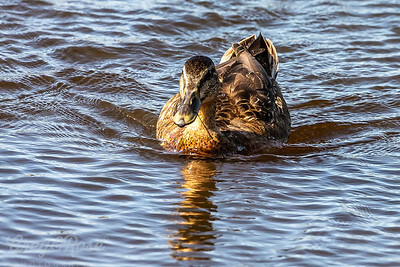 Both sexes are dark brown above with a glossy-black head and neck and a striking chestnut facial stripe, extending from behind the eye to the base of the neck. The eye is yellow, with a prominent pale yellow face spot below. 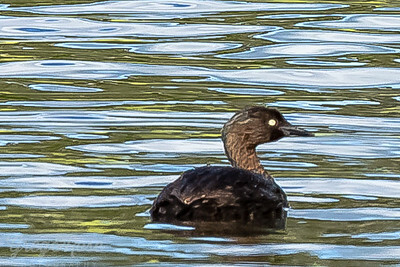 The Australasian grebe (Tachybaptus novaehollandiae) is a small waterbird common on fresh water lakes and rivers in greater Australia, New Zealand and on nearby Pacific islands Both parents will raise the chicks; however, the male will leave after a couple of months when the chicks are about three-quarters grown. 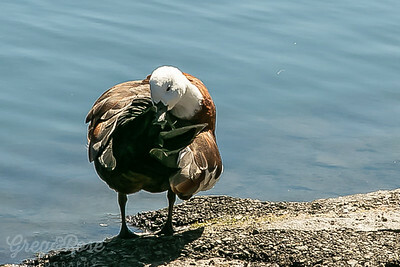 Initially the young will ride on the parents back, hidden between their slightly raised wings. 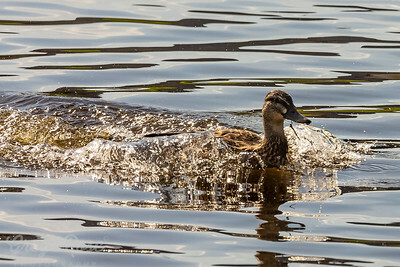 When the chicks begin to dive and feed themselves (at about 10 weeks) the mother may leave too, although mothers have been known to return soon after, apparently to check on the chicks. 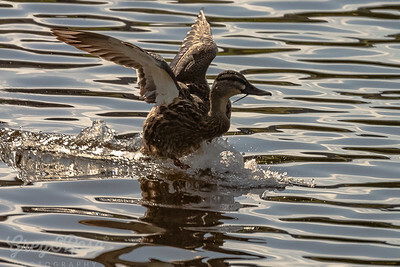 The parents are very protective and will try to drive away other water birds (ducks, herons) by confronting them and flapping their wings wildly or using their wings to splash water at the intruders. 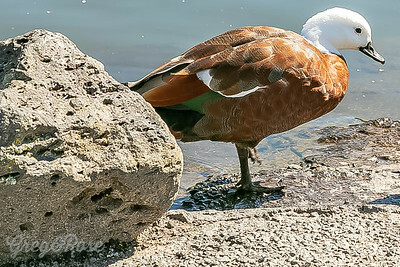 Grey ducks were formerly found throughout all of New Zealand, including on all vegetated subantarctic islands, Chatham Islands and Kermadec Islands. They have disappeared from all subantarctic islands, and are now rare on the Chatham Islands and much diminished on mainland New Zealand. 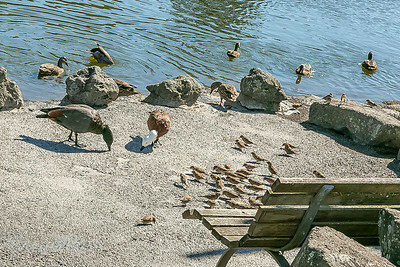 The 1999-2004 Ornithological Society of New Zealand atlas scheme showing grey ducks to still be widespread is erroneous and clearly confused grey duck with hybrids and mallards.